A BEREAVED family say they have been left “frustrated and disillusioned” by flaws in the system for investigating hospital deaths. 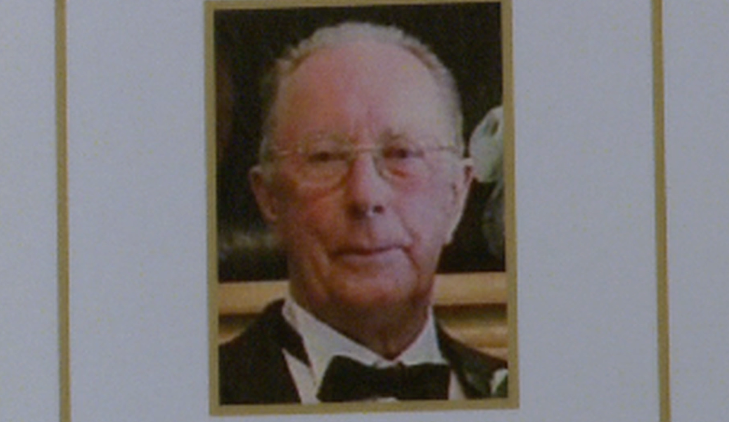 Neil Cormican, a grandfather of 17 children, died in April 2010 after he was mistakenly prescribed potassium while being treated at Antrim Area Hospital. His case was not immediately referred to the coroner despite a legal obligation by the hospital to do so. Mr Cormican’s case was included in a batch of hospital deaths investigated by the Northern Health Trust where its response was deemed to be “below standard”. An inquest was eventually directed into Mr Cormican’s death, but his daughter Joan McClelland now says she feels let down by “a lack of robust or independent investigation at any stage”. She said: “When mistakes were identified in my father’s case, the health trust effectively investigated itself through a series of internal procedures. When the case eventually did go to inquest, the process relied completely on information presented by the health trust. In a statement to The Detail the Northern Trust said it had apologised to the Cormican family for shortcomings in their father’s care and that it had learnt from its mistakes in the handling of this case. In March 2014 it emerged that there were 20 cases dating back to 2008 in which the Northern Trust’s response to the care of its patients was said to be below standard, 11 of which were deaths. As previously reported by The Detail, Mr Cormican’s death was included in this batch of cases. The 81-year-old had died in April 2010 after he was mistakenly prescribed potassium while being treated at Antrim Area Hospital. Under current law, if the cause of death is not a natural one or if some untoward event has occurred which may have contributed to a death, the coroner must be notified. However following Mr Cormican’s death health staff failed to immediately refer the case to the coroners’ office and gave the family the option of not referring the case. It would be another two months before the trust identified this mistake and referred the case to the coroner and six months before it was reported as a Serious Adverse Incident (SAI). SAIs are incidents deemed serious enough to require regional action to improve safety and can include unexpected or unexplained deaths. Mr Cormican’s daughter Joan says without independent oversight she has no confidence in the process. “What we realised from our father’s case is that a Serious Adverse Incident investigation is essentially the trust investigating itself. In no other circumstances in Northern Ireland would a fully independent inquiry by a third person not be commissioned. “In any other work related incident whether that’s in the police or in prison, an ombudsman or the Health and Safety Executive will be appointed to investigate. There seems to be an exception and a different set of rules for deaths that happen in hospitals. Commenting on Mr Cormican’s case a spokesperson for the Northern Trust said: “The trust’s handling of this case fell below the standard the family should have expected in the care of their father. For this the trust is sorry. “Following the death of Mr Cormican the trust worked closely with the family and carried out an investigation into his death. The investigation was carried out by health care professionals and chaired by a doctor who was independent of the case. “The findings from the report were shared with Mr Cormican’s family and the recommendations from the report provided an opportunity to identify learning for the organisation and the trust did learn from its mistakes in the handling of this case. The trust has a more robust process in place for the reporting and reviewing of SAIs. We contacted the coroners’ service to ask for a response to the concerns raised but a spokesperson said it had no comment to make. The coroners’ office can only investigate deaths that are reported to it. 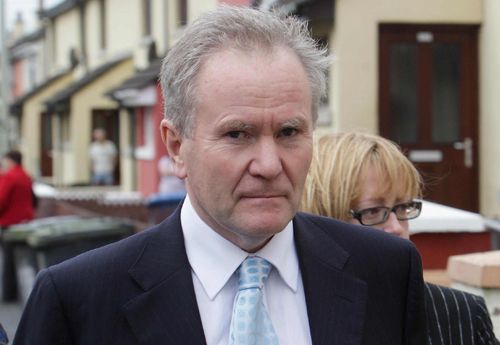 During Neil Cormican’s inquest in 2013, Northern Ireland’s senior coroner John Leckey, expressed his frustration at delayed referrals and said a failure to report hospital deaths that require further investigation to his office was a “very serious matter” that could warrant police investigation. During the inquest Mr Leckey said: “It may sound callous, but no weight at all should attached to the sensitivities and grief of a family in a situation where the death clearly must be reported. In order for a coroner to determine whether or not an inquest is necessary they will need to access documentation concerning the death. Hospitals can voluntarily provide documentary information relating to the facts and circumstances of a patient’s death, but a coroner has virtually no power to compel the production of documents. The only way a coroner can compel documentation is by a special witness summons to the high court which requires a person to physically bring documents to an inquest. For this to work the person would have to agree to attend the inquest with the relevant documents and the inquest would then have to be adjourned for weeks or months until the documents had been considered by interested parties. Despite not being a solicitor, Ms McClelland represented her family during her father’s inquest. She said she has been left very frustrated by the inquest experience. “I am not asking for another inquest into my father’s death but I feel it’s important to convey why I feel that the system for investigating hospital deaths in circumstances such as my father’s is not independent or robust. Click here to read part three of a special series of articles published by The Detail today. We speak to Attorney General John Larkin QC who believes the general public would welcome a set of “independent eyes” looking at hospital death that at present “fall between the cracks”.